Here at The Chicago Embroidery Company, we’re always interested in collectable patches. Our friends at CollectSpace noticed the removal of Zuma mission embroidered patches, maybe the best confirmation that the apparently successful early January launch was less than perfect. The secret satellite is rumored to have tumbled into the ocean. SpaceX has recalled the sale of souvenir mission patches from its first launch of 2018, providing a possible hint to the fate of its classified payload. The spaceflight company pulled its Zuma mission patches from partner gift shops and online retailers on Friday (Jan. 12), several days after the embroidered emblems wenton sale. 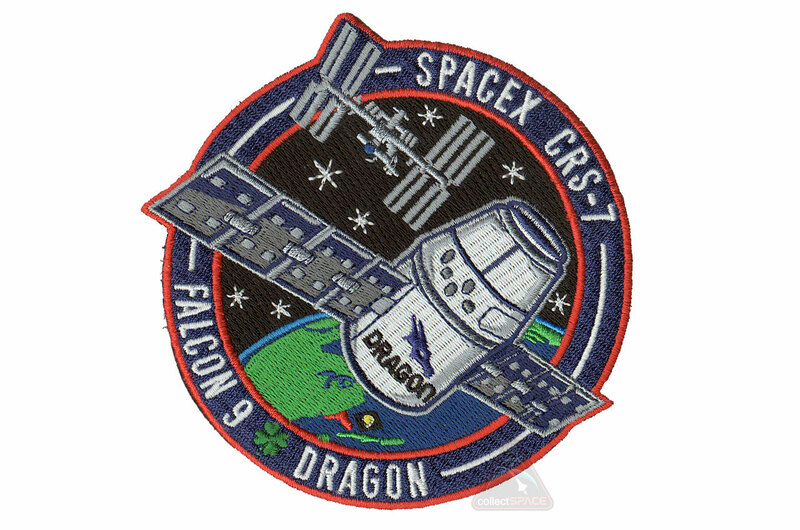 Since 2015, SpaceX has allowed for third-party sales of its mission patches so long as the flight that the insignia represents was confirmed a success. 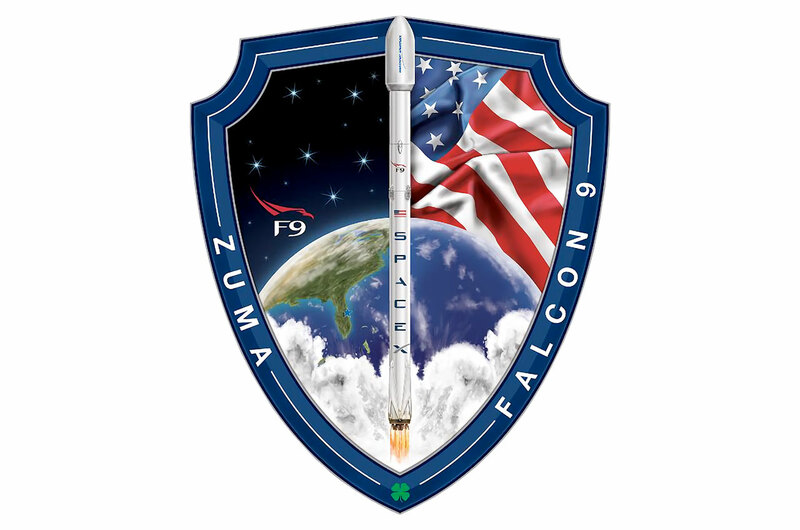 SpaceX recalled the sale of the Zuma mission patches in “consideration for their customer,” a seller who goes by the handle “usafspace” on eBay posted Friday evening on the collectSPACE forums and on Reddit’s SpaceX subsection. The patches were also noted as missing from the pegs at the souvenir shop for the U.S. Air Force Space and Missile Museum Sands Space History Center in Cape Canaveral, Florida, where they had been available for $7 each earlier in the week. A SpaceX Falcon 9 rocket lifted off from Launch Complex 40 (SLC-40) at the Cape Canaveral Air Force Station at 8 p.m. EST on Sunday (Jan. 7; 0100 GMT Jan. 8). The flight appeared from the ground to proceed as planned, with the rocket’s first stage returning to a landing at the Cape, while the second stage proceeded with the classified payload on a path to low Earth orbit. At the request of its customer — which is only known to be the U.S. government; no agency has claimed ownership of the “restricted payload” — SpaceX ceased status updates on Zuma’s climb to orbit after separation of the first stage. The next morning, however, reports began circulating that the Zuma payload had either been stranded in orbit or had fallen back to the Earth, dropping into the Indian or Pacific oceans. Some media, citing unnamed sources, suggested that Zuma had failed to separate from its payload adapter, a mount between Zuma and the Falcon 9 upper stage, that was provided by the U.S. government’s contractor for the mission, Northrop Grumman. “If we or others find otherwise based on further review, we will report it immediately,” Shotwell said, noting in addition that SpaceX’s upcoming launch schedule was unaffected. SpaceX appeared to treat the launch as it has its previous successful missions, releasing launch imagery online and providing its retail partners with mission patches for sale. By Friday night, almost 50 of the patches had been sold on eBay before the recall went into effect. SpaceX’s policy with regards to its mission patches dates back to June 2015 and the company’s first Falcon 9 launch failure. 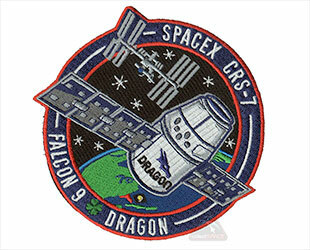 Following an in-flight explosion that led to the loss of a NASA-contracted, uncrewed Dragon cargo ship bound for the International Space Station, SpaceX held back the distribution of its CRS-7 patches and began with its next flight waiting until after the missions were complete before beginning third-party sales. SpaceX also began holding back its insignia artwork until a day before the scheduled launch — a decision that meant no mission patch was ever seen for the 2016 launch of the Israeli Earth communications satellite Amos-6, which was destroyed in a pre-flight engine test. 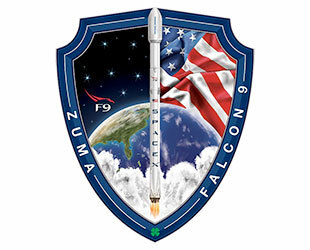 The now-recalled Zuma patch depicted a SpaceX Falcon 9 rocket launch set against Earth as seen from space and an American flag. The shield-shaped emblem included a four-leaf clover at the base of its border, a “good luck” staple on all of SpaceX’s mission patches since the company’s first successful launch in 2008. If you are one of the 50 people to purchase the Zuma embroidered patch, you’ve got quite the collectable! Design your own mission patches for your team, group, company or special event and get a free quote from The Chicago Embroidery Company, www.c-emblem.com, sales@c-emblem.com or call 1-312-664-4232.